Having trouble deciding what and where to eat? 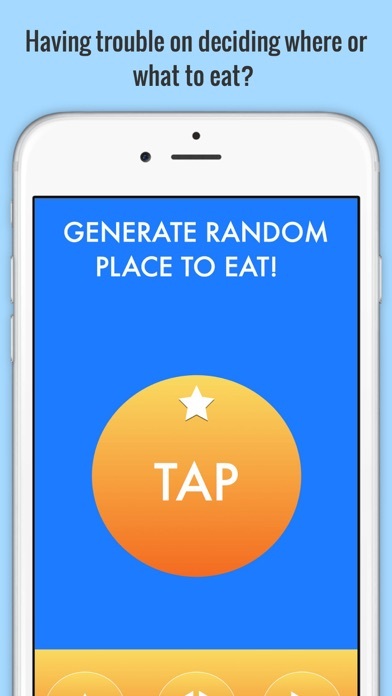 Let Food Shuffle decide with a tap of the finger! -Food Shuffle makes its selection from 100+ well know restaurants and fast food places. 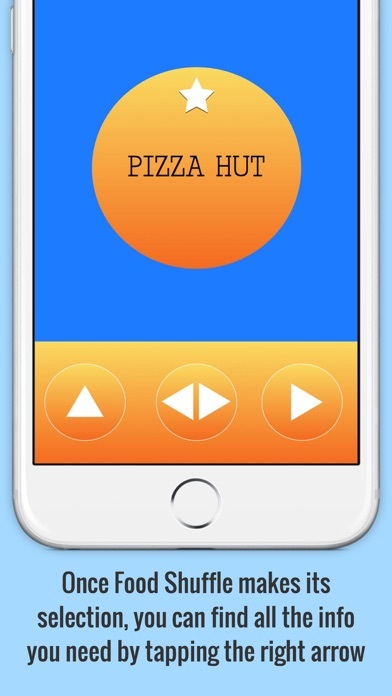 -Once Food Shuffle makes its selection you can find all the info you need by tapping the right arrow. 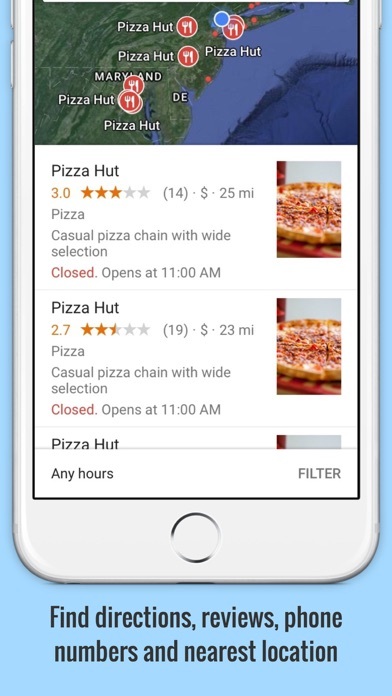 -When pressing the right arrow Google Maps will open and it will find the nearest location, directions, reviews, and other info without you having to type anything! 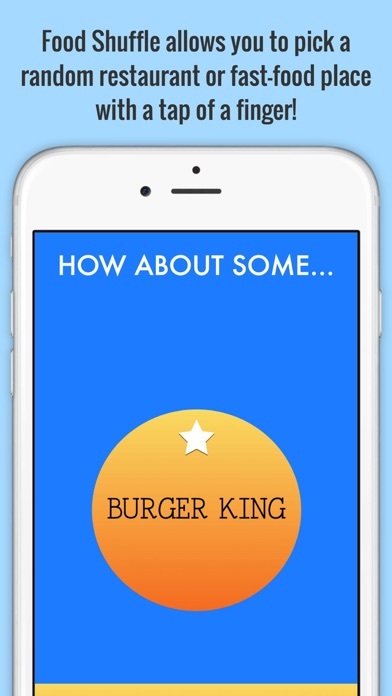 -If you don't like the selection Food Shuffle makes, you can generate another place by pressing the middle button. -Share on Twitter, Facebook, Instagram, and other social media platforms! -Countries supported: USA, INDIA, UK, CANADA, JAPAN -More Countries to be added. -Must have Google Maps installed to use the location feature. The app is useful because it gives good ideas and does it quickly and it has an intuitive UI, but it seems to be inaccurate and doesn't take proximity into account and shows places that are far away. Cool idea, but stupid in its execution. Randomly generates places to eat but are there any in your area? I think not! First three I had never heard of. Plus doesn't choose from what's near by. Totally useless. My idea better and is free. Guaranteed to work every time. 1. Open Google maps. 2. Pull up places to eat near by. 3. Close your eyes and tap. *(Please note you need to tap in direction of pins or it won't work properly). 4. Enjoy your meal. You can even pull up directions and get estimated time of arrival, and forward on to friends. All for free! Try my way you may like it, but not this app. 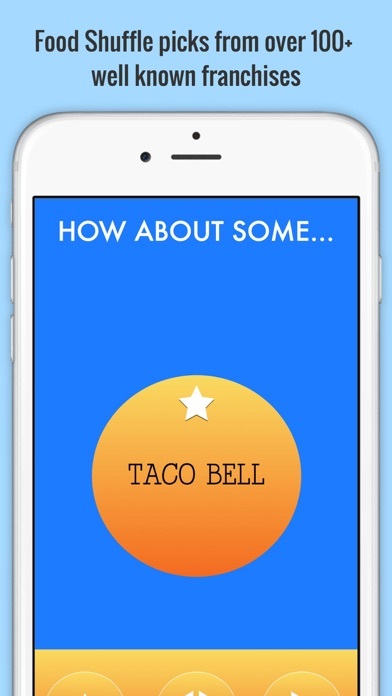 Cool little app for those that don't like making decisions when it comes to eating! It does not look at proximity. It does not look at where you are. Went through more than a dozen places, the closest one was 31 miles from my location.